The leap Mohamed Salah has taken this season serves as inspiration to Alex Oxlade-Chamberlain. For the second week in a row, the latter set up the former at Anfield on Saturday – with Salah’s opening goal in the 2-0 victory over Newcastle United his 32nd of a remarkable debut campaign with Liverpool. 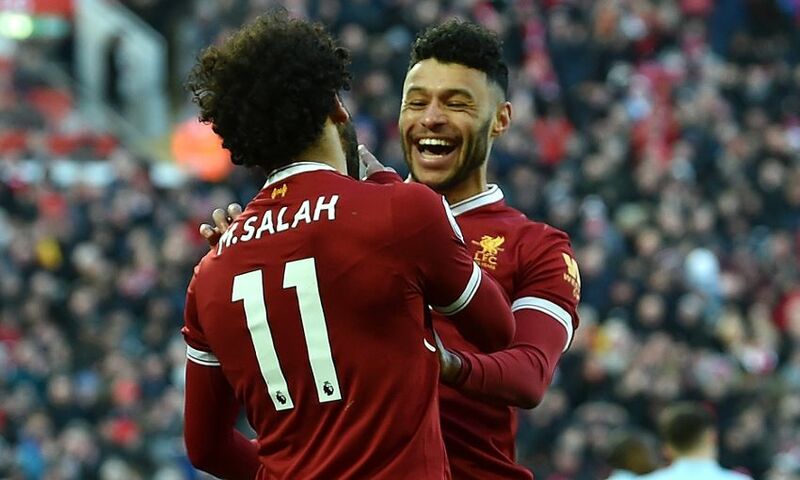 With nine games to go, nobody in the Premier League has scored more than the Egypt international, and Oxlade-Chamberlain sees his Reds teammate as an example to study and follow. “There is more in me. I know I have to keep pushing on,” said the No.21. “I can take so much from someone like Mo Salah. Just look at him this season. It has been relentless and when someone can go from – obviously he is a great player – but to be competing with Harry Kane and Sergio Aguero for top goalscorer is something you have to learn from. “Every season there is always an example of people like that. You can take inspiration and I have got to keep pushing myself.